Chelsea transfer dealings look glum when the transfer ban is taken into consideration. That could affect their planned business at the end of the season, especially with other clubs reportedly monitoring their targets. One player who could have been a summer target is Cagliari’s Nicolo Barella. Sky Sports reported that the was one of Chelsea’s top targets after the sale of Cesc Fabregas to AS Monaco in the winter transfer window. The Italy international was coveted by the Blues but soon after their interest was made public, Arsenal jumped in and sniffed around for information on him, according to Sky Italia journalist Ghilda Pensante on the Transfer Talk podcast. 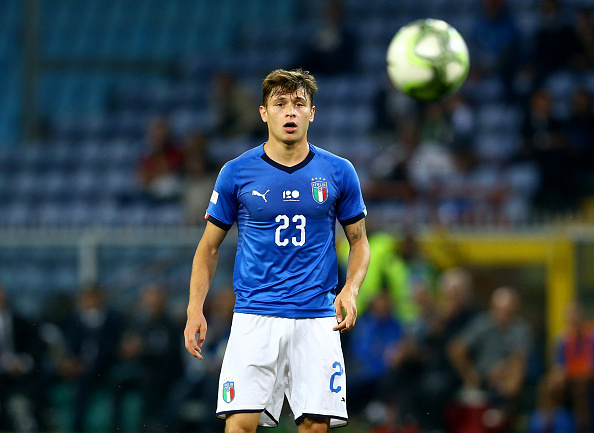 The Daily Mail now report that the Gunners sent scouts to monitor the progress of Barella as Italy took on Finland and the player impressed immensely playing in central midfield in his fourth cap. Whatever interested party is hoping to land Barella will have to meet his hefty asking price, which stood at £45M in January, according to Sky Sports’ initial report on Chelsea’s interest. All things considered, it might be worth counting us out of this race.